There are many types, as well as causes of, back pain. There is neck pain, upper back pain, mid and lower back pain, and then the sacrum related coditions at the base of the spine. You have probably heard someone complain of sciatica which is caused by irritation ot the nerve roots that lead to the sciatic nerve coming out of the spinal cord in the lower back. A bulging or ruptured disc is usually the primary culprit is such a condition. However, there can be other conditions involved. Arthritis can cause bone spurs which can cause or exacerbate sciatica. Also, an injury can cause compression of the nerve roots. There are several other causes for sciatica, and the source of the irritation will usually dictate the treatment prescribed: physical therapy, medicine and sometimes surgery. Be very careful of exercise regimen with any type of back condtion, especially spinal related, as you could be aggravating the situation. Always check with your medical professional concerning any type of workouts, exercise and even stretching. A severe ruptured disk in the lumbar area (the most common cause). Narrowing of the spinal canal (stenosis). A spinal lesion or tumor. A spinal infection, inflammation, hemorrhage, or fracture. A complication from a severe lumbar spine injury such as a car crash, fall, gunshot, or stabbing. A birth defect such as an abnormal connection between blood vessels. There are types of bone pain attributed to bone fusion or where the vertebrae grow over. One such conditon is known as Ankylosing Spondylitis (AS). It affects the spine with pain and stiffness from the neck down to the lower back and does not necessarily confine itself to older people; it happens most often to teenagers and men in their twenties, and is characterized by stiffness from the neck down to the lower back, and can result in a rigid spine. 4. Rest your body and your mind. The scope of this teaching is NOT to discuss specific types of therapy or treatments, but rather to present an alternative solution to problems that you or a loved one may be experiencing with back related issues.You can be healed today...NOW...by calling on the name of the LORD: Who forgives all your sins, and Who heals all your diseases [Psalm 103:3] The LORD's healing nature never changes. It is God's will to heal you! Remember the lady in the Bible who was bent over for 18 years? “And, behold, there was a woman which had a spirit of infirmity eighteen years, and was bowed together (bent over), and could not in anyway lift herself up. And when Jesus saw her, he called her to him, and said unto her, Woman, you are loosed from your infirmity. I am completely back pain FREE at this time in my life … and I have been on Planet Earth for quite a while! My advice to you – especially if you know the Great Physician, Yeshua HaMashiach (Jesus, the Messiah) – is: NEVER GIVE UP! 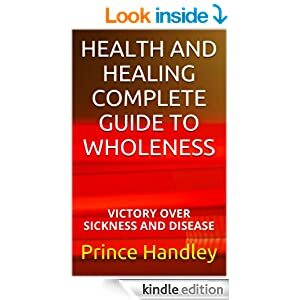 Here is how I was healed. My pain was so bad and so aggravating. I had been to a chiropractor years before and had learned or remembered how he had “fixed” my back to alleviate pain. So, I would lie on the floor and try to “fix” my back the way the chiropractor did. I was miserable, and it got worse and worse! I was addicted to”cracking” my back. I probably was compounding the situation. It was such a miserable condition … and, to make matters worse, at that time in my life I did NOT know about the healing power of Christ! Finally, I began to wonder if the situation was NOT a physical problem, but possibly a “spirit” problem; in other words, a “spirit of affliction” sent by the devil to plague me while I was trying to do God's work! To give you an idea of how bad the situation was, if I were in a business environment where I had never been before, I would look to see if the receptionist stepped out of the office so I could lie on the floor and “crack” my back. I was miserable! One day as I was on the floor ready to “crack” my back, the Holy Spirit spoke to me. He said, “Why don't you let me take care of that for you? !” Wow! I knew exactly what He meant. Instead of ME trying to fix the problem and compounding it each time I “cracked” my back, the Holy Spirit wanted to FIX it. It was such a temptation because when – and immediately after – I would “crack” my back, I would feel so much better … until it started hurting again! I really had to resist “cracking” my back … but realized at the same time, I didn't want to go through that all of my life. So … I said, “OK, Holy Spirit, I give this problem – this back condition – to You!” That was it, it was over. PRAISE GOD! That was many years ago. Another time, I experienced extreme pain in my upper back below my shoulder. It was not a spinal problem, but it would hurt so badly that I would cry. I asked God different times to either heal me or take me home to Heaven! I went to medical doctors, I went to specialists, I went to physical therapy … nothing worked. I even told two of the doctors I had that I asked the LORD, “Either heal me or take me to Heaven,” so they would know how bad the situation was. Nothing worked! Finally, one night while travelling in another area of the country, before I went to bed, I prayed to God and said, “Father, you can just send an Angel to touch me and I will be healed.” That night, while I was sleeping, I was awakened with a loud “POP” in my back where the problem had been. It was so loud it awakened me. And I was perfectly healed. I have never had that problem since, and never will, thank God … and thank the Holy Angel that God sent to touch me. Yes, “Touched by an Angel” has a special meaning to me! PRAISE is also an important remedy for back pain. 1. It lifts up and straightens the spinal column and relaxes it from a “stooped” condition. Learn to practice praise to God several times a day for at least 30 seconds. CHECK THIS OUT: An Egyptian friend of mine, Magdy Girgis, was a member of our Board of Directors. He worked for Hughes Aircraft as did several Christians who had been Baptized in the Holy Spirit, all of which spoke in tongues. They had Bible studies together every morning before work and also at luch time. One day a man named Warren Meisenbach, who worked in the Engineering Department, came to their Bible study at lunch. Warren was NOT a believer and he asked them, “What's this born again stuff you keep talking about?” Warren had been a “hunch back” for 15 years (like the lady in the Bible I discussed earlier who had been bent over 18 years). Warren received Christ as his Lord that day, and asked the men to lay hands on him for healing. Instantly … they could hear his back "cracking' like: POP, POP, POP. He was perfectly straightend in a normal position. (See Note #3 at bottom to listen to a podcast of this MIRACLE.) When he went home his wife was dumbfounded because he was not only “straightened” but smiling for the first time in years! Jesus is the Healer … the Great Physician. Will you let Him heal YOU? "Messiah Jesus, I know that you are The Great Physician. You loved me enough to shed your sinless blood and die for me on the cross stake that I might be healed. 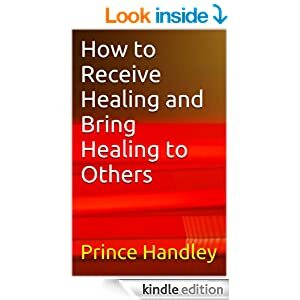 I have selected three (2) books which will help you to know how to deal with back pain, and any type of pain – so you can live PAIN FREE and serve God – and enjoy life the way God wants you to. Here they are … just click on the image. I have seen many people healed by the LORD of back pain, back conditions and paralysis. I have witnessed many people walking out of their wheel chairs. I was holding a three day seminar and I had asked the people present to join me in prayer and fasting for the last day as I was going to teach on healing. A man was present who had been in a wheel chair for nine years due to two conditions: 1. A large 18 wheel semi-tractor truck had run into his automobile and he had five breaks in his spine; 2. He had muscular dystrophy. During Holy Communion he walked out of his wheel chair and never went back! Two years later, he gave his testimony in a large Presbyterian church and hundreds of people fell out of their seats under the Power of the Holy Spirit. NEVER GIVE UP!